Zest teamed up with Remedi SeniorCare to develop a modern, responsive website, creating a sleek design, mirroring the company's advanced technology. Custom page designs, stylized typography and brand icons worked harmoniously to reflect Remedi's strong brand as well as the high quality of care that they provide. Upon starting the redesign of Remedi's website, we were provided with icons that were already used in Remedi's print marketing pieces. Following in the style of the existing logos, with their simple shapes and reflection of brand colors, Zest's Creative Team then developed a full set of icons, which would represent each of the unique areas of the website. This included icons for In-service Sessions, Educational Events & Webinars, Consult a Pharmacist, Bi-Monthly Resources and The Remedi Pulse, a monthly e-newsletter sent out to subscribers. Zest took on the challenge of creating web-friendly designs that would be cohesive with Remedi's existing, distinct print marketing brand style. The creative team used Remedi's brand colors--blue, orange, green and gray--throughout the website as background overlays, icon colors and text heading colors. We also chose a simple and clear text styling: Trade Gothic LT Bold was chosen for headings and link fonts, and Open Sans was used for the remaining text of the website, as "Open Sans was designed with an upright stress, open forms and a neutral, yet friendly appearance," making it ideal for easy reading. Using the main navigation as a sort of road map for the Home Page, we created a design that feels modern and accessible. Any user can simply scroll down the page to view highlighted sections with a summary of information: this information is expanded upon once the user clicks the link to an inner page. 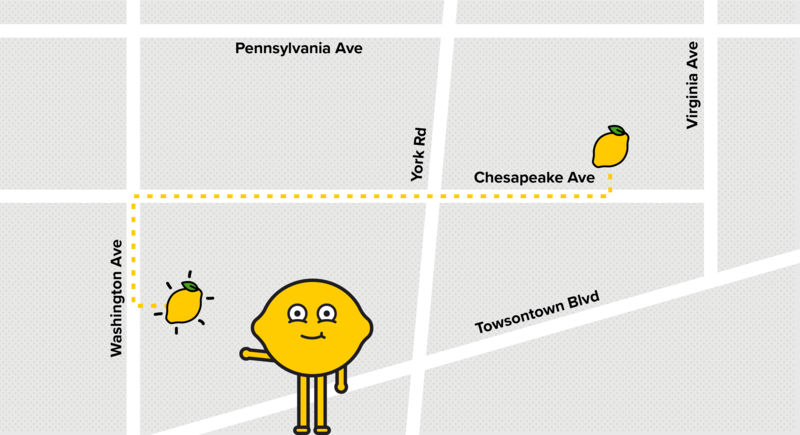 Zest's Creative Team repeated this navigation layout in the footer of the website to aid in ease of use for users. Users can also stay up to date on all things Remedi via quick links to social channels. 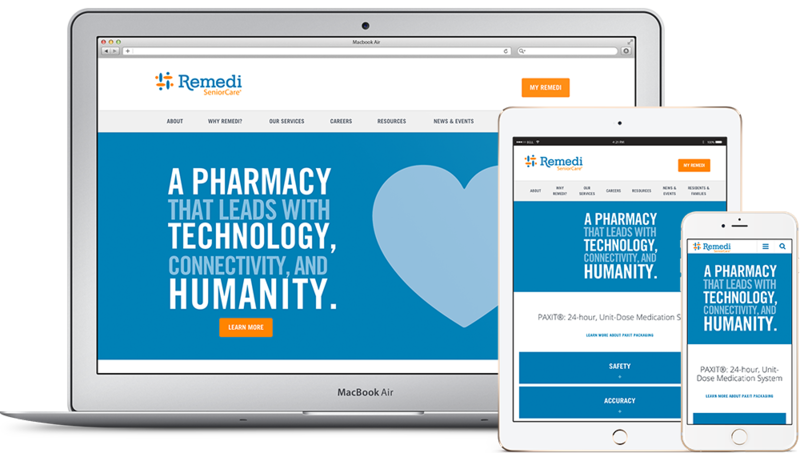 PAXIT® is a pharmaceutical packaging system that sets Remedi apart from their competitors, and so the Zest creative team knew this needed to function as the heart of the website. We created a module for PAXIT® which lives right underneath the opening image, making it an immediate focal point for users. The module's tab system highlights the three details of PAXIT® that set it apart from other systems: Safety, Accuracy, and Efficiency. We placed a link to an inner page with more detailed information directly above the tabs in an easily accessible and visible location for users. A clean, easy-to-use interface was vital for the success of Remedi's website, as it is enormous and full of important information. To aid in page navigation, we created a second sub-menu on each inner page listing the pages within that specific "parent" section. We also laid out the page using alternating background colors for each section of content, a very successful, popular and easy-to-read design that we've implemented in past projects. Remedi offers its users a plethora of resources, event opportunities, and pathways to connect with medical experts, which can be found within the Educational Offering section. When creating the Home Page design, Zest's Creative Team knew that each Educational Offering was as important as the next, so we created a similar modular tab section to the PAXIT® design, which gives each Offering the individual emphasis it deserves. The design is clean and crisp, without having to elongate the Home Page to an overwhelming and off-putting length. Each Educational Offering tab gives users a brief summary of what they will find in the section, and a link to view the actual Offering on an inner page. Zest's Creative Team knows that many medical professionals, as well as other Remedi users, access Remedi's webpage from their tablets and mobile devices, and so it was critical that we created a mobile-friendly site. We developed multiple views of the website, customized to each device, which ensures that all information is easily accessible, regardless of how it is viewed. The content within each page stacks vertically in order of importance, and the main navigation condenses into a standard mobile menu button.